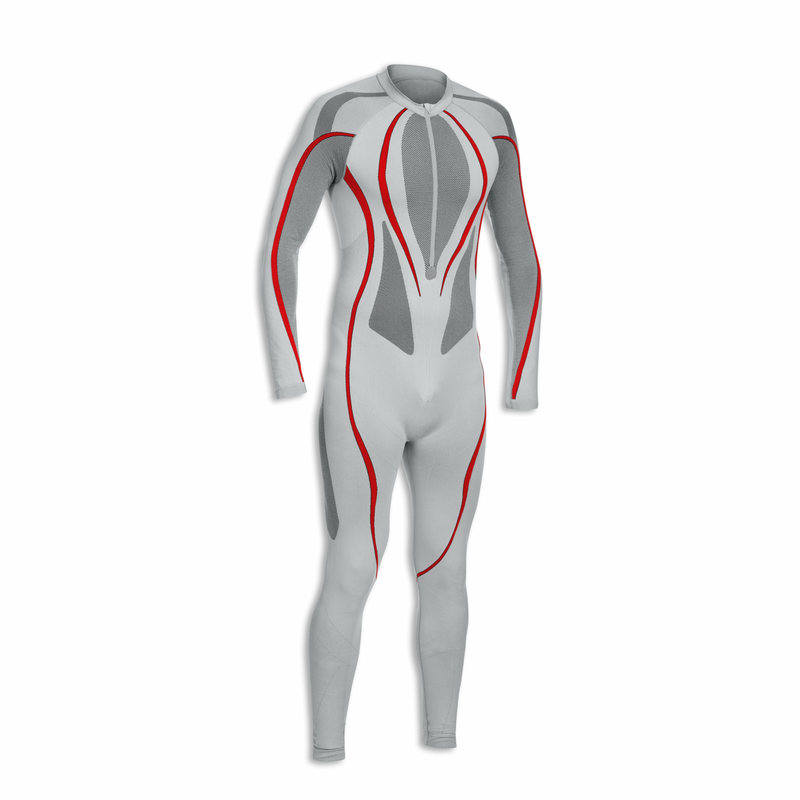 The Cool Down undersuit designed exclusively by Drudi Performance for Ducati is a light, breathable garment with reduced seams that ensure great fitting without limiting freedom of movement. Made with Dryarn® fabric, which has a low specific weight, making it possible to produce extremely lightweight garments while maintaining thermal insulation. The garment has areas with wide-weave construction to optimize body transpiration and eliminate excess heat in areas of heavy perspiration. The perfect product for sport riding.